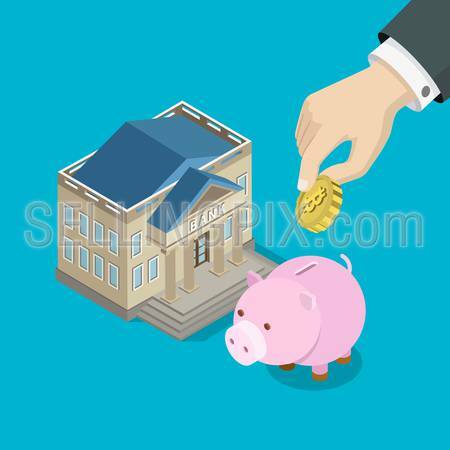 Bitcoin investment savings flat 3d isometry isometric concept web infographics vector illustration. Big hand put bit coin into piggy bank money box. Creative people collection.